Observation - Nkomba wotsit? - Southern Africa. Description: Pennington Conservancy crittercam. An otter or a skinny-tailed Marsh Mongoose? 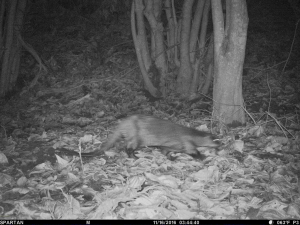 An otter or a skinny-tailed Marsh Mongoose?